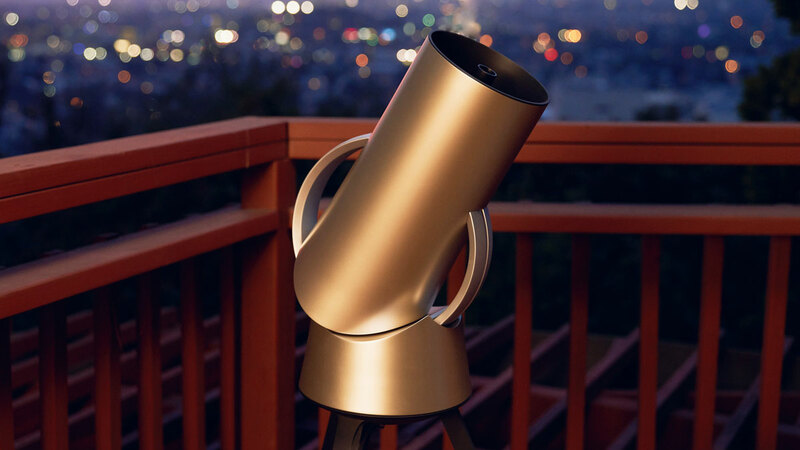 Hiuni is a smart, interactive telescope designed for accessibility and affordability to all. (Huh, maybe once they've wrapped up their Kickstarter campaign and gotten the telescopes shipped, Hiuni Team can work on our healthcare system.) 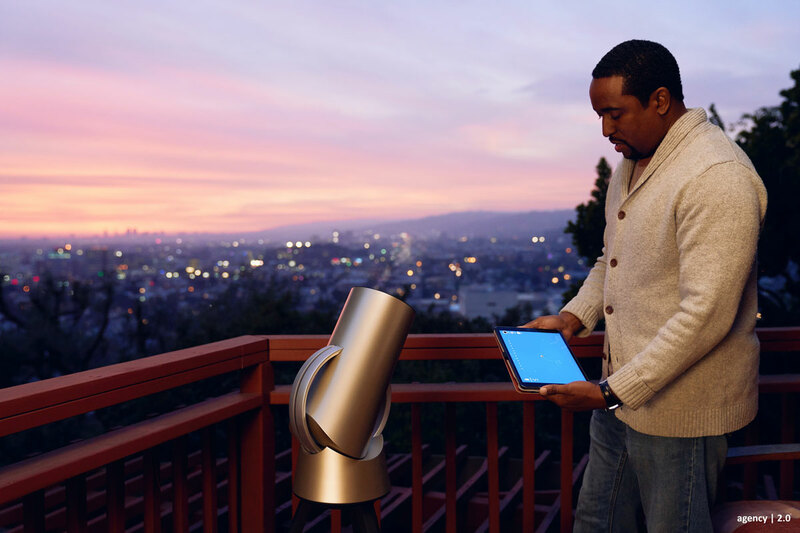 The computerized stargazer automatically aims itself at the stars you seek, and then projects the live view onto your tablet screen. The connected app will also provide educational background on what you're seeing. 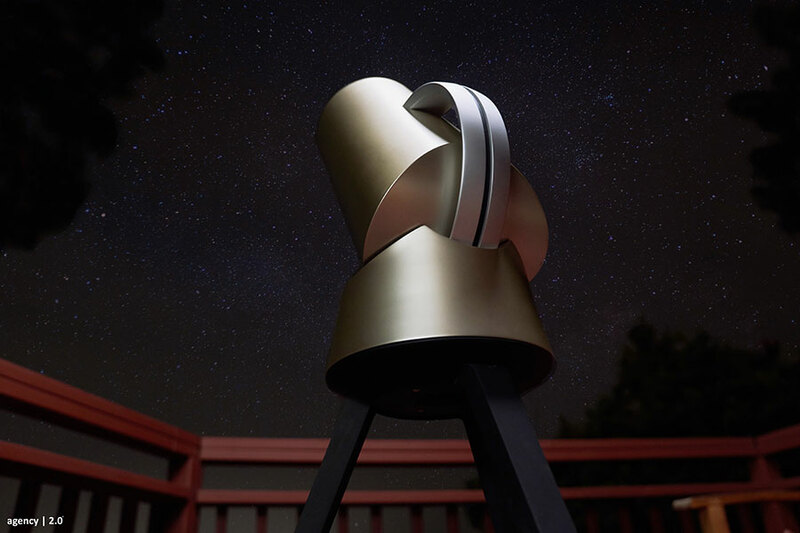 The Hiuni telescope is intended for people of all ages and levels of experience - with telescopes, astronomy, and technology alike. The Hiuni Team intend setup and connection to be simple, with self-calibration and an app that walks you through all steps of hunting down Cassiopeia. Through the app, you'll select the celestial entity you want to view, and the telescope will auto-navigate and align itself with it, and then send the view to your screen. So everyone can look at once instead of doing that annoying squinty-eye and taking turns thing. Hiuni has a built-in GPS, accelerometer, magnetometer, and gyroscope to identify its location and orientation, and a Celestial Vision Alignment system for calibrating your view. 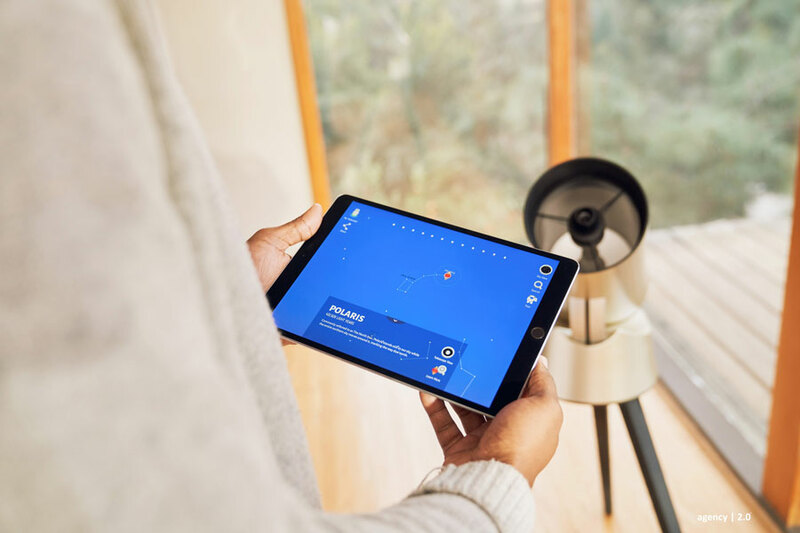 When Hiuni gets its bearings after launching, it will present you with an interactive, wide-angled Sky Map, from which you'll be able to select any object you want to look at closer. The Sky Map includes real-time overlaid information about the celestial objects it's found. In this mode users can opt to control the Hiuni telescope manually, through a virtual joystick in the app, or zoom in on a specific object, transferring to Space View. In Space View, the Hiuni zooms in on a specific star or formation with a 6" optical tube. Onscreen, this will appear as the actual eye of the telescope. 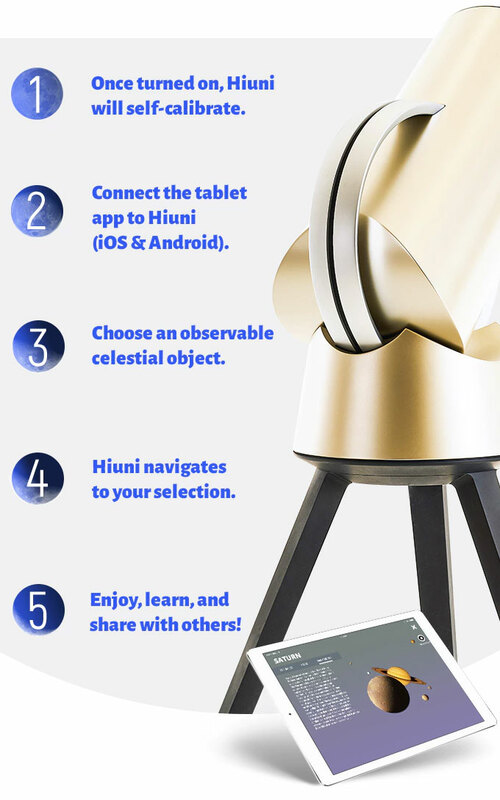 If you want to learn more, or pledge for your own Hiuni telescope, head over to the Hiuni Kickstarter campaign page by June 17, 2018.